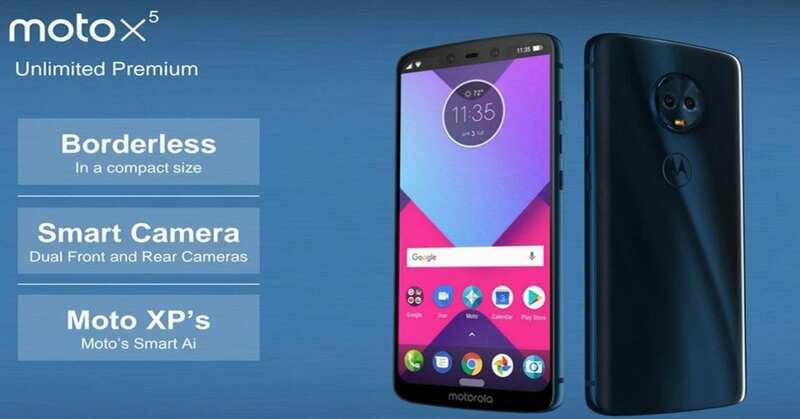 We all know very well that the Moto X4 was the first phone in the new Motorola/Lenovo device line and it seems that the company will continue to maintain its new range of phones. As recently, the alleged Moto X5 picture shows four cameras, bezel-less design, iPhone X-like notch and much more. 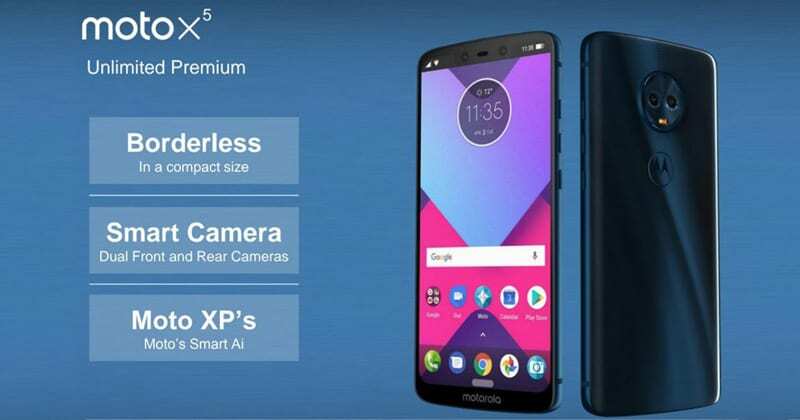 The Moto X4 was the first phone in the new Motorola/Lenovo device line and it seems that the company will continue to maintain its new range of phones. Before we talked about the Moto E5 and now it’s the turn of the Moto X5 design that has been leaked on a promotional image that shows many details of this device. The photo that the Moto X5 accompanies these lines has to be taken with tweezers since it could be a fake but seen as it is going to the market seems to be real. The first interesting detail? the Moto X5 will bet on an 18:9 aspect ratio for its screen. As you can see in the filtered images of the Moto X5, the next member of the X family of the manufacturer has minimal front frames with rounded corners. Its screen will consist of a 5.9-inch panel with Full HD+ resolution and 18:9 aspect ratio, which helps reduce its dimensions. One of the most interesting details of this filtration comes with another detail that we find on the front. I talked about the notch at the top of the device that reminds us a bit to the front of the iPhone X. Seeing icons on the sides it is clear that it is a design very similar to the last flagship of the tech giant Apple. The reason? seeing that there is a double camera in the front is quite likely that the Moto X5 has some facial recognition system. Of course, if you look at the back, just below the camera is the logo of the brand with a chrome circle around it. This element is very likely a fingerprint reader although that does not mean that Motorola is not going to bet on its own facial recognition system. Finally, we have the two slogans that accompany the filtering “Moto XP” and “Moto’s Smart AI”. Taking into account the rise of artificial intelligence in smartphones is very likely that the next Moto X5 has some kind of technology that is adapted to our use. It is still a long time until we officially see this terminal, remember that its predecessor was presented within the framework of the IFA Berlin, but for now what we have seen in terms of the design of the Moto X5 has seemed very interesting and the fact that Motorola may be developing its own facial recognition technology is excellent news for the sector. So, what do you think about this new leaked image of the Motorola’s upcoming model the Moto X5? Simply share all your views and thoughts in the comment section below.